Sign up and receive Property Email Alerts of Houses for sale in Bloubergstrand, Blouberg. This majestic, 2281 sqm grand triple-storey home, with waterfall entrance hall, has the potential to be converted into a 20 en-suite bedroom, Hotel or Health Spa. It is privately nestled in the dunes of Bloubergstrand looking out over the Atlantic Ocean towards Robben Island and Table Mountain. When entering this air-conditioned mansion, a glass domed atrium with indoor waterfall, koi ponds and jungle garden, invites you on a journey reserved only for very few. The double volume Great Room of over 340 sqm has 290 degree view over the Atlantic Ocean together with the blackrock featured waterfall fed swimming pool. To the right flows a dining room / ballroom 168 sqm with floors of American white oak separated from the inside jungle by sliders. A magnificent pub and sound proofed media room takes you back to a bygone era of quality and fine craftsmanship is the standard throughout. A Teddy Roosevelt replica library / office / study with jailer's lock security, revolving doors and cast iron faux fireplace, a computer room /office, a designer granite kitchen with a dumb waiter, laundry room, 2 sauna's, 4 oversized garages and 6 parking's, patios and verandas including rooftop gardens, security cameras and much much more. Full specs and plans available on request...serious buyers only please. 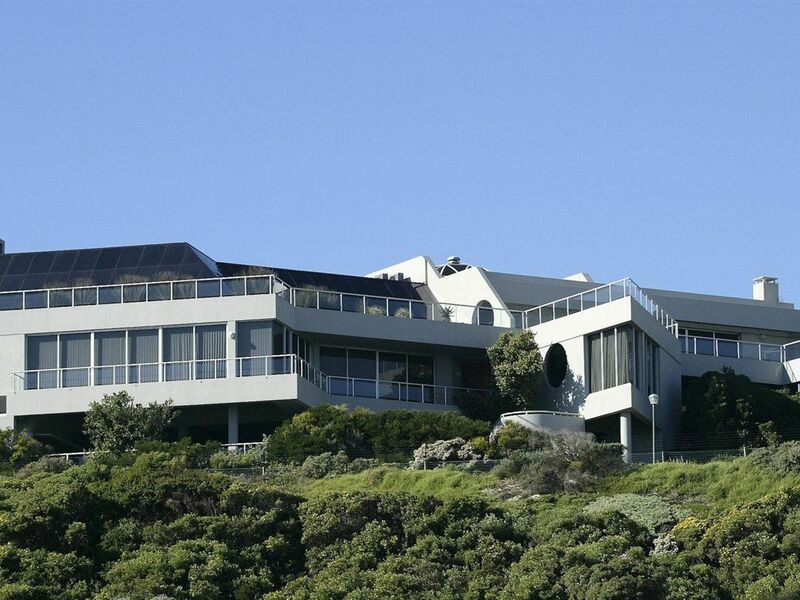 Sign-up and receive Property Email Alerts of Houses for sale in Bloubergstrand, Blouberg.